Be the first to share your favorite memory, photo or story of Omer . This memorial page is dedicated for family, friends and future generations to celebrate the life of their loved one. He was a Charter Member of Evening Optimist Club and he served as a coach for the 5th & 6th grade basketball league. Also, he was a founding member of Little League baseball in New Castle, IN. 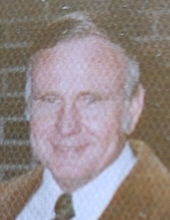 He served many years as an official and coach for baseball and basketball leagues. To send flowers or a remembrance gift to the family of Omer G Cooney, please visit our Tribute Store. "Email Address" would like to share the life celebration of Omer G Cooney. Click on the "link" to go to share a favorite memory or leave a condolence message for the family.